Looking for the best shocks for F150? You’ve come to the right place. Upgrading the shocks on your F150 can be one of the most impactful upgrades you can get. New shocks can greatly enhance the way your truck drives, and for relatively very little money. Many F150 owners report that the stock shocks from the factory are too soft and sloppy, especially the rear shocks, so if that’s why you’re here, you’re not alone. The F150 has one of the largest aftermarkets, which is great, but it can also make it difficult to find the very best products. For that reason, we did the research and sorting for you. Here are the best shocks for F150. These Bilstein B8 5100s are bound to be your new favorite aftermarket product that end up on your F150. Specifically designed to be an easy fit onto your ride, these shock absorbers will give you a consistent performance for years to come. The fade free performance will last so long you will forget you ever had to work with your suspension. These shock absorbers are tuned exactly for superior performance for most conditions, whether you are on the road or off of it. The piston itself is special in that it is velocity sensitive and digressive so that it can adjust to whatever you throw at it, ensuring the highest in effectiveness to keep you rocking steady. If you want to go the extra mile, these shock absorbers are often paired with Bilstein 24248129 Shock Absorbers for one of the best rides available for an F150. As an added bonus, this second pair of Bilsteins can be used as a leveling kit, too! But if you stick with the first set of Bilsteins that we’re talking about all by themselves, you are still going to be in for a treat. If you know anything about shocks and suspensions, we’re willing to bet that you know the Fox name. They have been around for a long, long time and their reputation truly speaks for itself. This particular set of shock absorbers only add to that reputation with performance worthy of racing conditions. 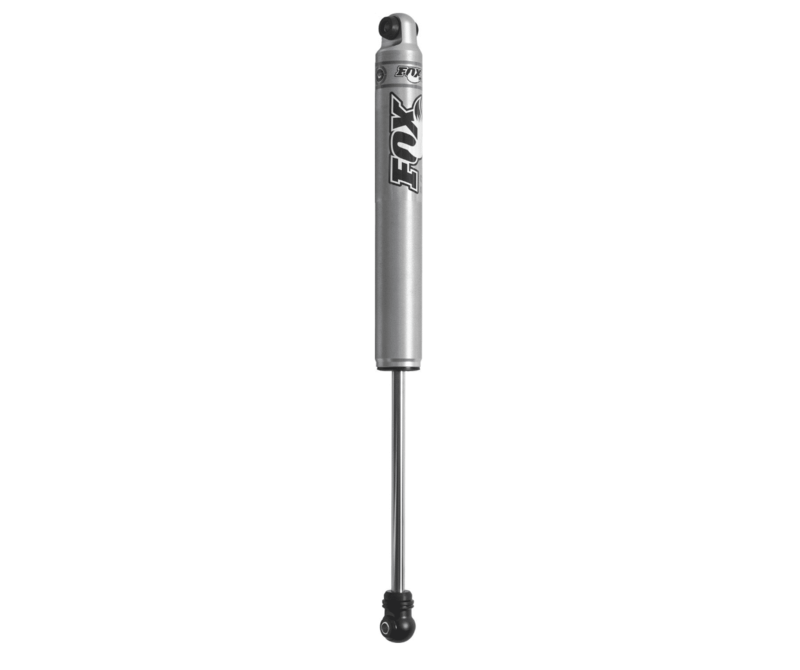 These shocks feature a Fox 2.0 Performance Series Smooth Body IFP Shock. Their dimensions are 28.45 inches extended, 17.85 inches collapsed, and 10.6 inches in stroke. But where these bad boys get impressive is the clear care that was put into the materials. The IFP keeps the oil separate from the nitrogen gas, the Teflon-lined, heat-treated, spherical bearings are made to last, and the way the shock is engineered has redundant sealing for the longest lasting performance around. Additionally, these shocks are completely serviceable and tunable so that you can get even more out of them for years to come. If you want to go big or go home with your next set of shocks, then you need to go with Fox Racing – and these shocks are the best shocks for F150 trucks as far as those options go. As you can imagine, we aren’t very surprised to see Bilstein back on our list for the best shocks for F150 vehicles. 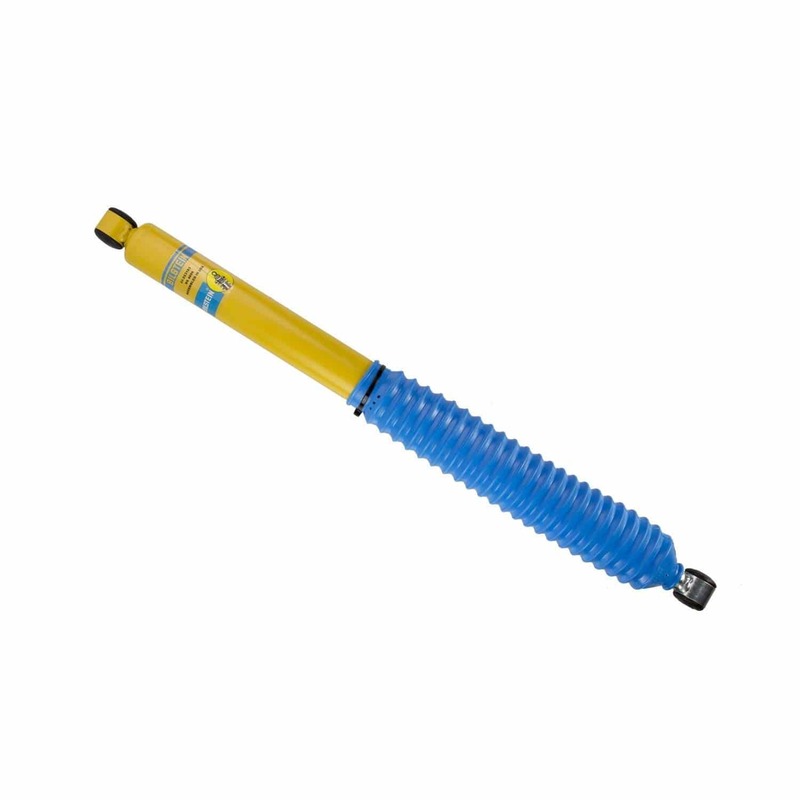 We already know that Bilstein makes incredible shocks so let’s see what our second option that comes out of their manufacturing has in store. First off, it’s important to note that these shock absorbers are a direct fit upgrade to your existing F150 suspension setup. You won’t have to fiddle with changing your entire front or back end around just to put in a new shock absorber. Second, we love to point out the fade free performance that comes from the monotube design that utilizes velocity sensitivity and a digressive piston to take on any conditions you find your truck in – both on and off the road. Third, it’s too easy to point out the immediate and noticeable change in the comfortable ride and sharpness in handling that comes out of using these Bilsteins. Reviewers make it sound like your truck will feel like a brand new ride – one that is vastly improved from the stock setup that you have before. At the end of the day, your shock absorbers are only there for your comfort and keeping your truck safe. So, how can we not say that these are the best shocks for F150 trucks – or at least one of them? We don’t think it’s too much of a secret to say that car manufacturers aren’t giving you the absolute best product, part by part, that they possibly can. We’re not saying that they aren’t giving you a high quality vehicle in your F150 – but there still are spots that we can improve things, for sure. 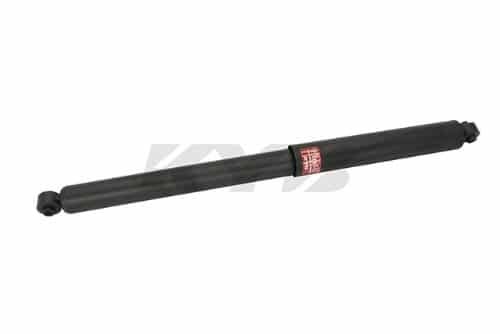 Installing this KYB shock would be a great way to start – or continue – improving your truck. These shocks are specifically designed to bring back the stock handling and control that your F150 had when you first bought it. Featuring a seamless working cylinder with a Teflon coated piston band, you will end up with a seal that last longer than your stock shocks ever would have all the while upping your ride quality. The triple chrome plated piston rod and multi-lip oil seals keep wear to a minimum and the mounting eye rings are solid and seamless so you won’t hear any rattling. Altogether, this part is solid, long-lasting, and exactly what it takes to get you driving like you originally did when you first got your F150. 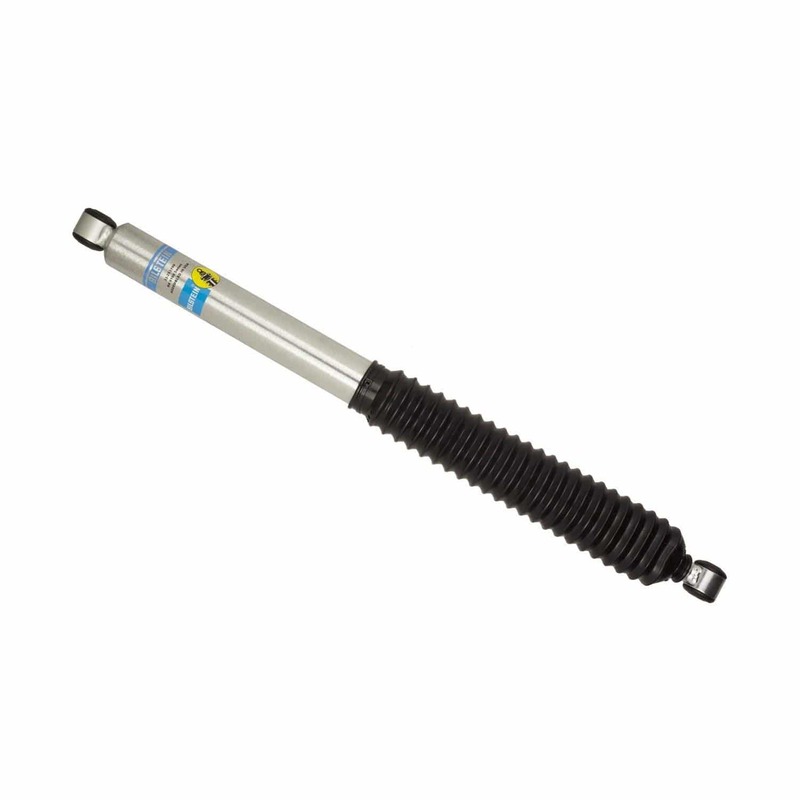 For the best shocks for F150 to get you back to original form, you need this KYB shock absorber. Whether you want to put your truck on stilts with a giant lift kit and bright yellow suspension springs or you’re a little more subtle and just want to look to improve your ride quality, it’s important to know what you need to get out of the best shocks for F150 trucks – and before you make any purchases. The way your truck handles can change whether you love or hate your truck so let’s take the time to make sure that we give you a buyer’s guide that matters. Despite what many common drivers think, shock absorbers aren’t actually for pushing the ground away from your vehicle. In fact, they are truly for getting rid of the energy that is created when your car starts bouncing around. Inside your shock, there is a piston that is bathing in oil. This oil serves to resist the piston when it moves up and down so that, instead of building up a bunch of bouncy energy, you’ll end up getting rid of that energy in the form of heat! This process is similar to trying to wave your open hand in water. If you try to wave your hand slowly, it doesn’t seem like you have much resistance. But, if you try to swipe your hand quickly, things become a lot more difficult. Your shock does exactly the same thing but, instead of a hand, there is a piston, and, instead of water, there is oil. There are a lot of great things that you will enjoy if you replace your existing shocks with some new ones that are the best shocks for F150 trucks. First, you’ll immediately see that your vehicle will be smoother just driving straight down the road. While it may not seem like a huge deal right now, you’ll immediately realize that you weren’t living right once you are floating down the road on clouds. Secondarily, though, you’re going to be safer – and this is the big one for us. Since your vehicle will be more properly absorbing and reacting to the ground beneath it, you will keep better contact with the ground at all times with all four wheels. That means you are going to be turning tighter, sooner, and with better traction. While we hope you never have to encounter a situation where you challenge your truck’s ability to steer, it’s always good to be prepared. When you go to get your own shocks, you are going to want to make sure of a few things. First and foremost, they need to fit. You can find what you think are the neatest, sweetest shocks in the world but if you are going to have to completely redesign your front end to have to try to make them fit, they probably aren’t worth your time (unless you’re doing some lifting). Second, you may prefer a certain type of shock. There are pneumatic shocks, coil spring over shocks, and gas shocks. So, if you prefer one type over another for some reason, make sure you hunt for those specifically. There are definitely some things to avoid when getting shocks, too. One thing is for sure: You shouldn’t feel the need to go after the priciest pair of shock absorbers that you can find. There are a lot of different shock absorbers on the market that will probably work wonders on your truck so going for the most highly priced ones probably isn’t the best move. Additionally, and on the flip side of a point we just made, you are also going to want to make sure that you aren’t buying shocks that don’t fit your vehicle. Everything needs to be compatible so that you can actually put the shocks you are excited about onto your truck. After you take care of these two things, it should be smooth sailing as far as putting your shocks on and driving away smoothly. When should I replace shocks? You should replace your shocks if you realize that your car is driving with less stability than you would hope for. This can manifest itself in a number of ways. When turning, your car may seem to roll excessively to the outside of your turn. When braking, your car may nosedive and pitch forward excessively. You also simply may notice that every little bump in the road hits you like a freight train (or at least more than it used to). If you notice any of this strange behavior with your ride, you may need to invest in some new shocks. Shocks are full of either gas or oil so, unfortunately, they can leak. The seals on the shock can become brittle, torn, or otherwise busted so that they lose their fluid. The rule of thumb is that after the shock loses more than ten percent of its fluid, it will no longer work effectively. However, we highly recommend that if you see any fluid coming out of any of your shocks, you need to take care of them immediately. Will bad shocks cause vibration? Bad shocks won’t cause vibration. However, they will not stop the vibrations of your car from happening. As you make your way down the road, the ground will try to bounce you around and, if your shocks are ineffective, you will vibrate around inside your vehicle. Shocks can be purchased at nearly any auto parts store or online. If you go online, you will find websites dedicated specifically to getting you the shocks that you want. You can also follow the links on this page to find a new set of shock absorbers on Amazon. Will shocks lift my truck? New shocks by themselves will not lift your truck. You will need a leveling kit or lift kit to get that done. However, if you lift your truck by more than 3 inches, you will probably want to get a new set of shocks that fit your new ride height more properly. Okay, so you’ve got a lot to think about at this point. Shocks are among the most popular upgrades for F150 truck owners, among cold air intakes, tuners, leveling kits and headlights to name a few. What we recommend is comparing each of the shocks that we have at the beginning of this page and figuring out which one is right for you, specifically. If you want to know more about the ride quality you will end up with, check out what others have to say about the effects that they saw on their trucks. What we can say for sure, thought, is that these are the best shocks for F150 trucks so prepare to be happy.